Crisp and fresh would be two keywords when describing this grape variety. Typical styles of wines made with Assyrtiko are dry and highly acidic. Key fruit flavours expressed include green apples, lemons, limes and grapefruits. There are also commonly notes of wet stones or slate which many would refer to as ‘minerality’, (similar descriptors are used in Chablis). Generally, at the more premium end, Assyrtiko isn’t blended, as the winemakers concentrate on expressing the grapes natural character. 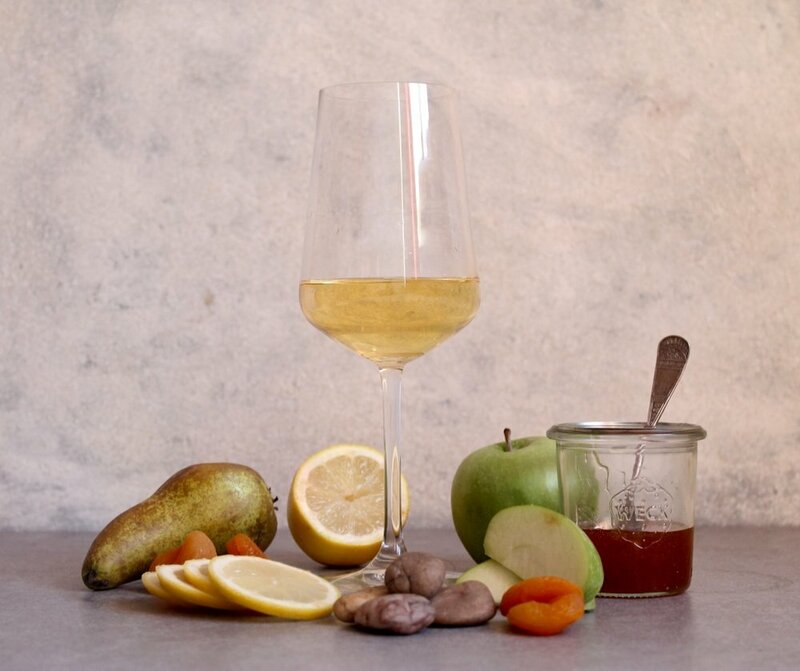 However, the grape does also appear in many blended wines (particularly in mainland Greece) with other native varieties and occasionally Sauvignon Blanc. Another generalisation is that Assyrtiko rarely sees oak, however, a few producers experiment with oak fermentation and barrel ageing. If the wine is labelled ‘Nykteri’ then oak ageing is compulsory. The final style of Assyrtiko is Vinsanto, this is a sweet wine produced from sun-dried grapes. The sun-drying concentrates the natural sugars, acids and flavours due to the slow removal of the water. The wines have a lovely honey flavour. The most heavily planted grape variety on the island. The vines ability to grow very long roots helps it reach water in the volcanic soils of the island. The island commonly uses a very traditional training method to protect the vines from the strong sunshine. It is known as a ‘basket trained vine’, where the vines are woven into a circle creating a basket like effect to shelter the grapes preventing sunburn. Plantings of Assyrtiko are increasing on mainland Greece, most likely due to the success, it has had in Santorini. There isn’t the need to basket train the vines here so instead of more common trellising is seen. The wines produced here have slightly riper fruit flavours with grapefruit a common descriptor used. Still a rare grape to be found in Australia but a few producers are beginning to experiment with the variety. The most famous area is Clare Valley due to a well-known producer called Jim Barry who noted that the region has climate similarities with Santorini.